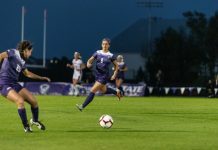 The K-State Wildcats soccer team came back from a goal down to earn a draw Friday night against the Creighton Bluejays. It was the first time the Wildcats (1-2-2) had ever tied a game after falling behind. The Bluejays got the first goal of the game in the first seven minutes of play. 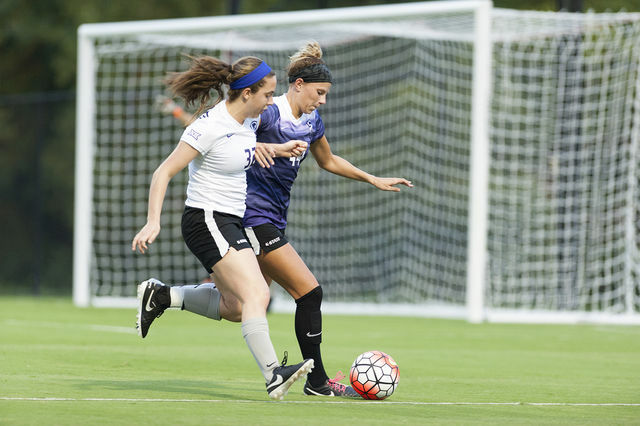 Freshman midfielder Caeley Lordemann got the ball in the center of the field near the K-State goal and fired away. The shot beat junior goalkeeper Miranda Larkin to her left. It was the first goal Larkin allowed this season, and came after she had played over 205 minutes in net this season. Like they did when they fell behind against Central Michigan last Sunday, however, the Wildcats used the deficit to get more aggressive. They completed quick passes, got many shots and nearly scored on a number of occasions. They also played physically. 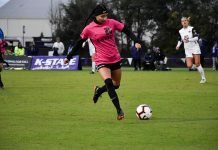 Freshman midfielder and forward Laramie Hall got a yellow card in the 40th minute, the second of the game after Creighton redshirt junior midfielder Darby Hugunin got one in the 15th minute. Unlike the game against Central Michigan, however, the Wildcats were able to pull even after falling behind. With time winding down in the game, Hall got the ball close in front of the Creighton net on a pass from sophomore forward Tatum Wagner and buried it with less than 10 minutes remaining. K-State wasn’t out of the woods though. In the 87th minute, Creighton was awarded a penalty kick that would have won them the game, but it went wide to Larkin’s left. The game was the second draw for the Wildcats this season. K-State’s next match will be Sunday at noon against the University of Nebraska at Omaha Mavericks in Omaha, Nebraska. 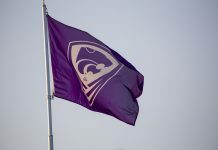 Sunday’s game will be broadcast through a link on kstatesports.com but will require a paid subscription to view.